This is one of the more challenging Sun/Moon combinations. Aries impatiently pushes the limits, while Virgo carefully analyzes them. However, this couple does share the relentless need to move forward, albeit for very different reasons. Sun in Aries charges forward with spontaneous enthusiasm. He needs perpetual motion; active relationships keep him vital and engaged. His low boredom threshold and high tolerance for risk mean that he’ll push himself (and his partner). Sun in Aries would rather act than think or discuss. Primal impulses fuel him, and higher reasoning shuts down when he becomes angry, impatient or excited. Moon in Virgo is driven forward by her quest for perfection. But purity of intent and messy relationship issues do not blend well. As a result, Moon in Virgo can be a perpetually dissatisfied partner. She can also be warm and supportive with a lover who shares her interest in self-improvement. Communication is vital for this Mercury-ruled sign; the more comfortable she is, the more she’ll discuss what makes her unhappy. The downside to this can be chronic nagging and tightly-wound emotions. Moon in Virgo will support Aries’ drive to move forward—until she realizes that he doesn’t investigate what he conquers. Sun in Aries will be encouraged by Virgo’s desire to get things done—until he realizes that her energy is spent on (what he considers) useless details. Aries will quickly become impatient with Virgo’s need to discuss everything. He’ll also be threatened by her constant disapproval. 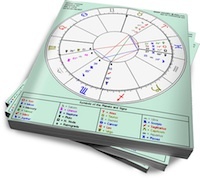 Virgo will feel nervous as Aries brushes her concerns aside, then bewildered when he snaps and tells her to stop nagging. This relationship can rapidly devolve into dust devils of unhappy energy. There won’t be much to hold this couple together, unless they have harmonious contacts between other planets. What does it mean for Compatibility if the man is sun Aries, moon Taurus and the Woman is sun Capricorn, moon Virgo?? 🙂 Thanks!